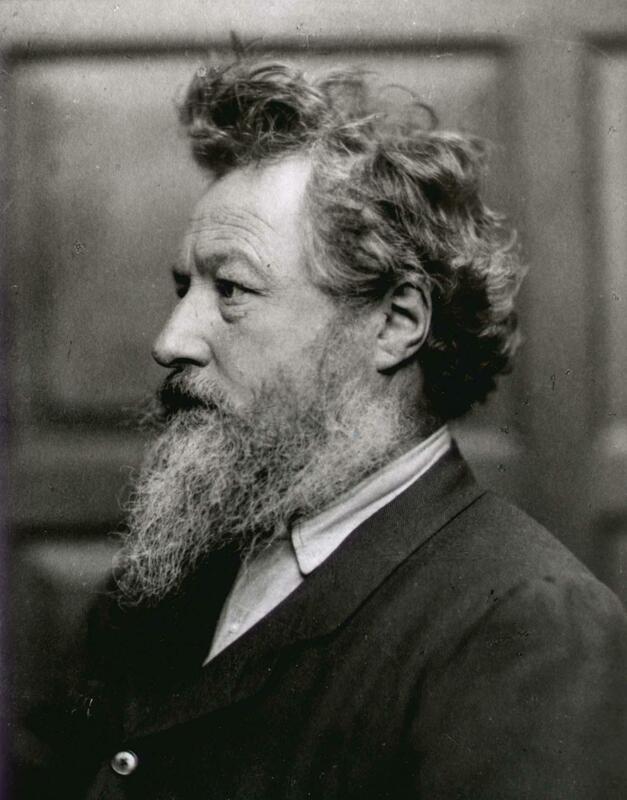 WILLIAM MORRIS (1834–1896), the prime mover of the Arts and Crafts movement, arrived in the Cotswolds almost by chance when in 1871 he and the Pre-Raphaelite painter Dante Gabriel Rossetti took a joint lease of Kelmscott Manor, a grey stone manor house set in the level meadows of the Thames, near Lechlade. The elevation of the Cotswolds in the imagination from the ‘ugly country’ described by William Cobbett in 1826 to the idyll of the late nineteenth century, which gloried in the lyrical beauty of its limestone and landscape, is associated above all with Morris and his love of Kelmscott and the surrounding villages. 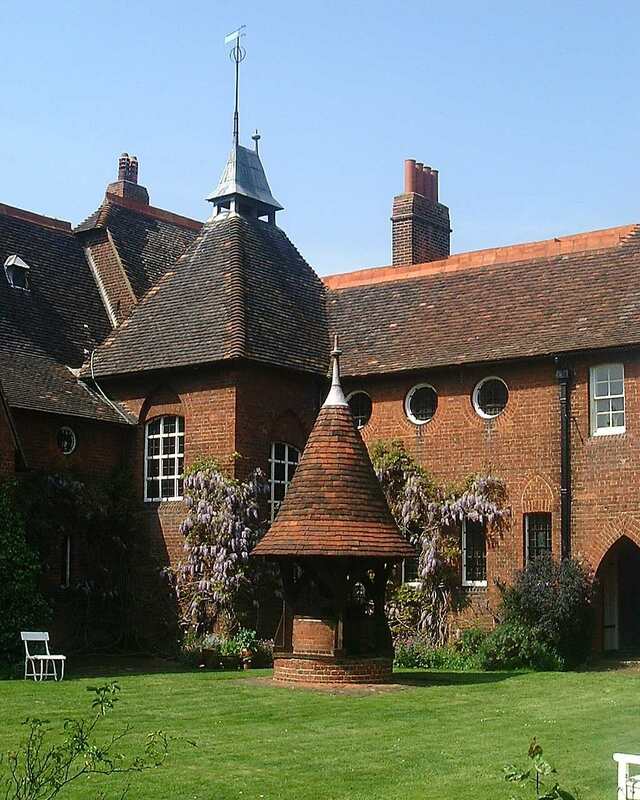 The best known early project of Morris and his architect-collaborator Philip Webb had been the Red House, near Bexley Heath, in Kent, of 1859, one of the defining buildings of the mid-century, which had sought and exhibited a radical deconstruction of the arts. Henceforth a new “homely” architecture would recoil from the falsification and degradation implicit in all industrial methods and the ‘sham’ of stylistic revivals. Such false revivals are exemplified in the Cotswolds by contemporary Westonbirt (begun in 1864 in early Renaissance style)—or Woodchester Park, which in its functional rationalism in many ways anticipates Morris (particularly in out-of-the-way spaces like its attic corridors). Instead, architecture would be gloriously redeemed by a study of the domestic handicrafts and the collaborative processes which created them, on which the “house beautiful” could be resurrected. The essential unity of architecture as a social system would be demonstrated in all its honesty and structural truth. 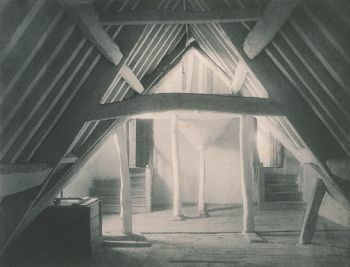 The advocacy of the vernacular tradition goes back to Romanticism, with its evocation of the ‘primitive hut’ revived from the Roman theorist, Vitruvius; with the Utopianism of Claude Nicolas Ledoux, developed in John Nash’s ‘village picturesque’ style at Blaise Hamlet, near Bristol, and the ‘Old English’ style of George Devey. But with Morris for the first time there is a conscious critique of distinctive local methods and the social history of the countryside, based on collaboration and study at first hand. 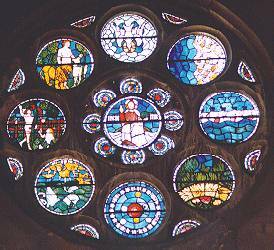 One of Morris's first projects had been the design of the stained glass windows in Selsley Church, near Stroud, in the central Cotswolds. 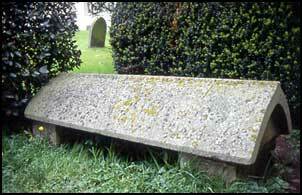 He had considered moving to the silk mills at Blockley, in the North Cotswolds. 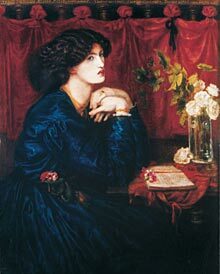 By the time he arrived at Kelmscott, Morris had vindicated his youthful ambitions, and was firmly at the heart of theArts and Crafts movement as a designer-craftsman, promotor, critic and creative writer. As a novelist and epic poet, he had responded to the medievalising imagery of the Icelandic sagas and Arthurian romances with their adulterous passions to become a national figure, who would decline to succeed Tennyson as poet laureate. As a versatile designer of genius, he had transformed the decorative arts, including wallpaper and textile design, tapestry-weaving, furniture design, metalwork and stained glass manufacture, taking them to new levels of expression. He developed the book arts of typography and fine printing, with the foundation of the Kelmscott Press in 1891. As a theorist and critic he became an authoritative and energetic polemicist, a Utopian and radical socialist campaigning for nothing less than the reformation of society through the arts in all their forms. At Kelmscott, Morris spent his summers ‘studying’, he wrote, the difficult ‘arts of enjoying life’, discovering the surrounding countryside and its social history steeped in awareness of the genius loci. In 1880 in his lecture, the ‘Prospects of Architecture’, he had singled out the average yeoman’s cottage homes built 300 years ago in the Cotswold villages, and ‘not the ‘distinctively Georgian ones’, that represented to him the ideal type of the old English house of the News from Nowhere (or, An Epoch of Rest) (1890). 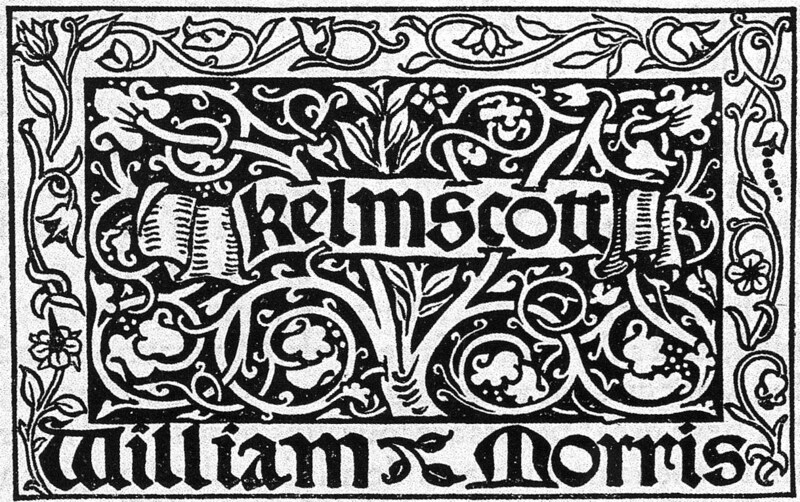 His later life and work at Kelmscott is described eloquently in the conclusion to his Utopian dream-novel. 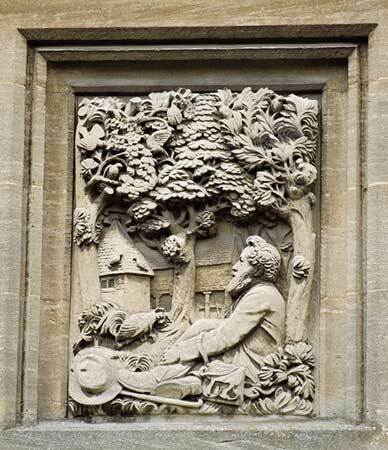 Here the seeker finds a holy grail, professing himself to be haunted by the old buildings of the Cotswolds and the way of life they symbolised, writing amongst the grey gables and rook-haunted trees of Kelmscott with ‘a sense of the place being almost too beautiful to live in’. Over the following years, ‘Topsy’ Morris became a student and advocate of the local vernacular architecture of the Cotswolds, from Inglesham Church to the cottage row at Bibury, which he pronounced the most beautiful village in England, and the barn at Great Coxwell, “the finest piece of architecture in England ... unapproachable in its dignity, as beautiful as a cathedral, yet with no ostentation of the builder’s art”. He defined a new critique based on the study and careful repair of old buildings, their authentic textures and weathered surfaces, pioneering with Webb the first conservationist philosophy with the foundation of the Society for the Protection of Ancient Buildings in 1877, to which he was prompted when repairs were threatened at Tewkesbury Abbey on the edge of the North Cotswolds. more than any other individual, first directed attention to the austere poetry, the supreme if undemonstrative craftsmanship, of Cotswold architecture. With its definiteness of design and pleasing unity in colour and material with the monotone uplands, the architecture … is a kind of domestic Touraine, the backbone of traditional English building. 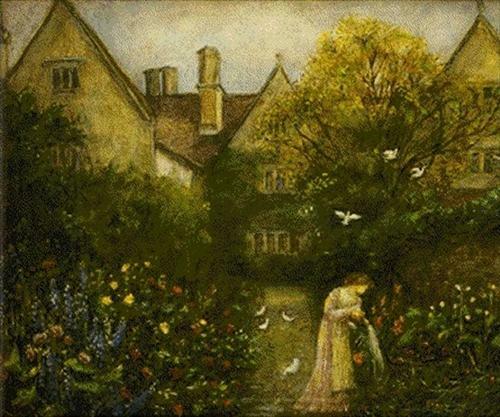 Kelmscott Manor dates to about 1570, a gabled manor house of grey stone expressing generations of true craftsmanship which, with the Morris connection, made of it an icon of the Arts and Crafts movement. Morris loved the harmony of the unaltered manor house in its Thameside setting passionately, admiring its “quaint garrets amongst great timbers of the roof where of old times the tillers and herdsmen slept”, and finding its stone walls and roof tiles so organically linked to the eternal geological substrates that it seemed to have “grown up out of the soil”. Every traditional feature is relevant to the discovery of its beauty, the drystone walls, the graduated tiles of the roofs, which “[give] me the same sort of pleasure in their orderly beauty as a fish’s scales or a bird’s feather”. For 25 years, he filled it with his life and energy, expressed by the textiles, ceramics and furniture to his designs, and that of his friends. The entrance porch between two gables is approached between the standard roses of a small garden enclosed by stone walls—as illustrated on the title page of News from Nowhere. A high cross-wing of about 1665 looms to the north-east corner, its double-gables projecting to the right of the entrance front, added across the central range. Two gabled towers rise with subtly battered walls. Mullioned windows in the attics have decorative pediments instead of hood moulds, and there are the traditional elm gutters. Inside the old screens passage leads to the hall. 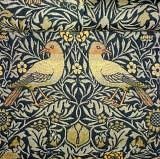 Everywhere is Morris furniture and wallpaper, tapestries and textiles, many worked by May Morris. 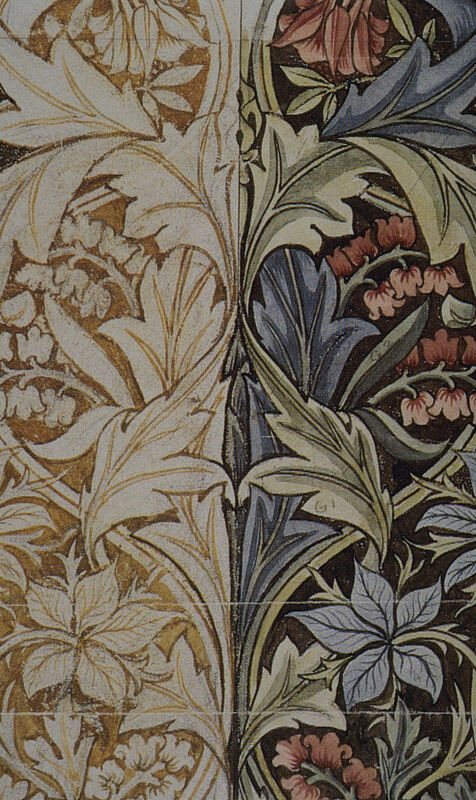 There are William de Morgan tiles to Morris’s designs, Mantegna engravings, seventeenth-century chimneypieces with cartouches and garlands celebrating the arms of the Turner family, yeomen here for centuries. 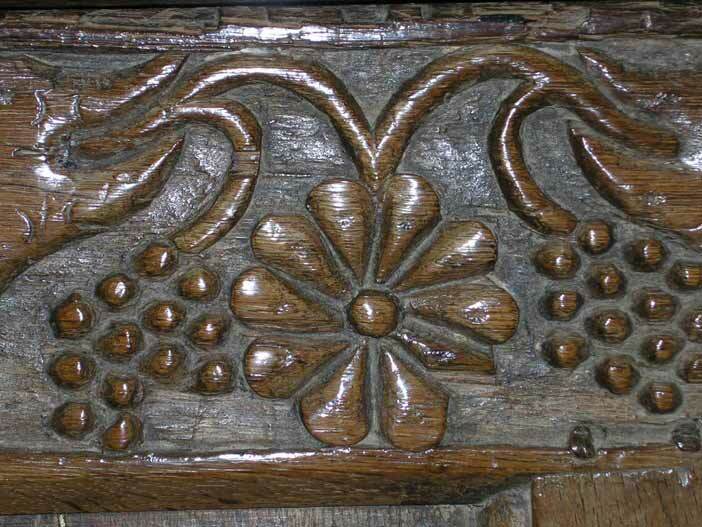 A new generation of architect-craftsmen was inspired by the social and moral commitment of William Morris (and Ruskin) and the radical ideas of theorists like Edward Carpenter to create rural communities where the decorative arts and traditional crafts could be studied, revived and practiced. Throughout the village at Kelmscott are examples of their work. Ernest Gimson designed the village hall and cottages, Norman Jewson further cottages, George Jack carved the relief of Morris set on a wall to a design by Philip Webb (see right), who also contributed Morris’s Viking-ridged tomb in the churchyard. In 1968 Donald Insall repaired the house for the owners, the Society of Antiquaries of London. Two concentrations of artistic settlement and activity developed in the Cotswolds at the turn of the twentieth century: at Chipping Campden in the north Cotswolds under C.R. Ashbee, and at Sapperton and Oakridge in the central Cotswolds under Ernest Gimson and the Barnsley brothers, Sidney and Ernest. 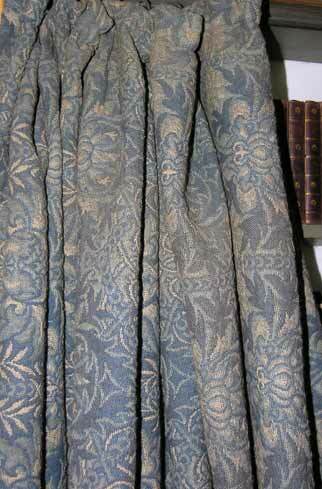 Morris curtains at Owlpen in "Honeycomb"
Ernest Gimson was born in Leicester, in the East Midlands of England, in 1864. He was a generation younger than William Morris, the son of Josiah Gimson, a successful engineer and owner of the Vulcan Works in Leicester. When he was 20, Morris stayed as a guest of the Gimsons, to give a lecture on ‘Art and Socialism’ at the Leicester Secular Society, an event which changed the course of his life. Gimson was to settle in the Cotswolds, then a remote part of the country, at Sapperton in 1894, where he founded a craft community with the brothers Ernest and Sidney Barnsley based on the principles of Morris and his followers. It was Gimson's assistant Norman Jewson who boughtOwlpen Manor as a ruin which had been uninhabited for nearly 100 years in 1926. He immediately set about repairing it in accordance with Morris's philosophy of "conservative repair". 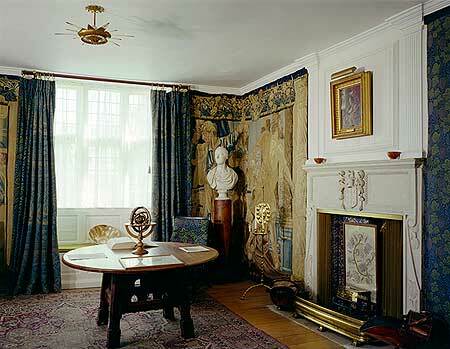 Today Owlpen, in many ways a sister house to Kelmscott, contains a representative collection of "Cotswold school" furniture and fittings left by Norman Jewson to the house, or acquired by the Mander family, who were early patrons of William Morris and the artists of the Arts and Crafts movement.